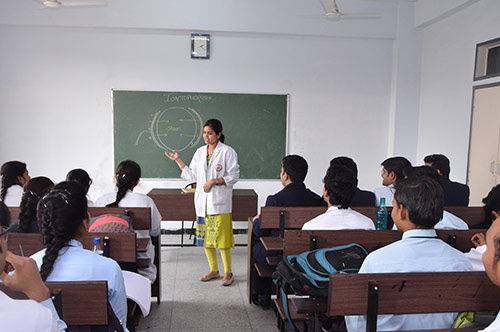 Programme has been designed taking into account all aspects related to health care, patient care, teaching and research.The goal of the programme is to produce high class paramedics who are aware & sensitive to health needs of the countary and are capable to participate in preventive & rehabilitated aspects of the diseases & to educate the persons in the society and to keep abreast themselves with the continuing medical education. Candidate must have passed the final examination of 10+2 or Equivalent from a recognized Board in science subjects. Minimum secured percentage in board exams should be 50 % marks (45 % for SC/ST/OBC) in PCB/PCM from a recognized board as per the guideline of UP Sate Medical Faculty, Lucknow & M.J.P. Rohilkhand University, Bareilly. To Apply for BMLT/BRIT/CT-MRI courses Intermediate in PCM (Physics, Chemistry, Maths) is required. The Admission is based on the entrance examination to be held in SRMS IPS which is followed by the interview to be conducted by the Institute. The candidate should secure minimum 50 % marks in entrance examination to appear in interview session. 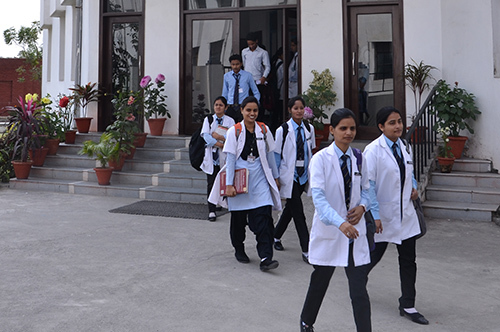 The entire admission procedure is based on merit basis in which meritorious candidate passing with high percentage will be given preference for admission. The candidate must have to produce the mark sheet of 10+2 or equivalent at the time of interview. Fee has to be paid through Demand Draft drawn in favour of "Shri Ram Murti Smarak Institute of Paramedical Sciences" payable at Bareilly. Three & Half years full time course (only BPT Four & Half years course).